On this auspicious day 19th November 2014 of Mananeeya Eknathji's Centenary started with Pratahsmaran, Gita Chanting, Prarthana and Pushpanjali to Eknathji Samadhi and Swamijiith by Life Workers and VKStaff at Vivekananda Kendra Kanniyakumari. At 9am Ma. 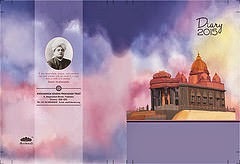 Balakrishnanji installed the Tablet at Vivekananda Rock Memorial, expressing the gratitude of India towards Ma. 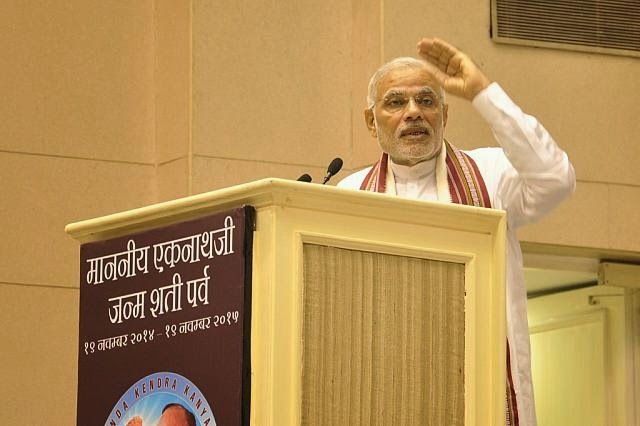 Eknathji.Ma. Aparnadidi, Sri Thangasamyji and other VRMStafff were also there. 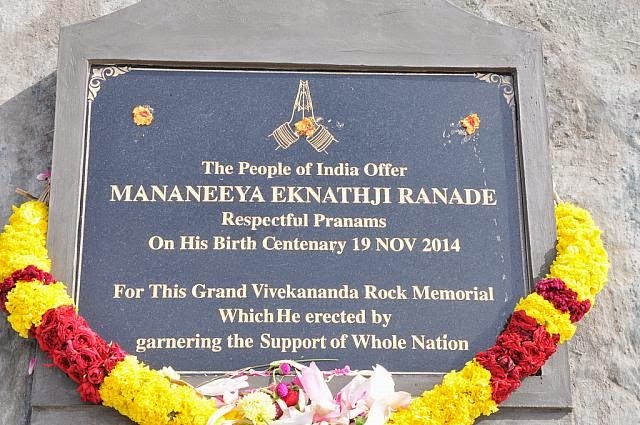 Mananeey Eknathji Centenary Celebration was Celebrated at Headquarters Kanniyakumari in a grand manner on 19th November 2014, Wednesday 10am with procession and public gathering by the people.The procession was started at Meditation statue of Swami Vivekananda at Kanniyakumari Amman Mandir which is flagged off by D.S.P. Sri P. Selvaraj and Arati taken to Ma.Eknathji Ratham by Poojaneeya Swami Chaitanyananda Maharaj, Hindu Dharma Vidhya Peeth, Vellimalai Ashram. 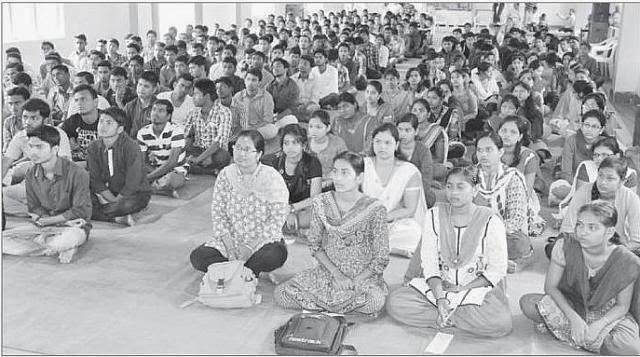 There was a folk music Chandai Melam and traditional game Silambattam leading the Ratham, Band Music of VKV students and gathering of more than 2000 members of the public drawn from all over Kanniyakumari district to show their respectful pranam and gratitude to the Great Hero of the Kanniyakumari. 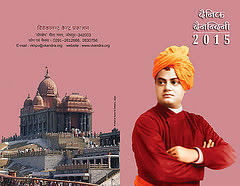 Everywhere Eknathji Centenary Celebration Banner was kept.The procession entered Vivekananda Kendra with tumultuous sound of fireworks and one by one, they did pushpanjali to Vivekananda Swamigal and Eknathji Samadhi. Later they assembled for public meeting at VKV premises.Mother Nature blessed us for her worthy son by slight showers in the wholeday. In the concluding, Presidential address by Ma. Balakrishnanji, Felicitation by Ma. 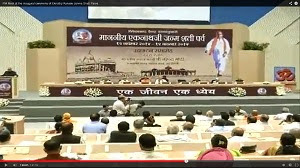 Niveditadidi, Special address by Aa. 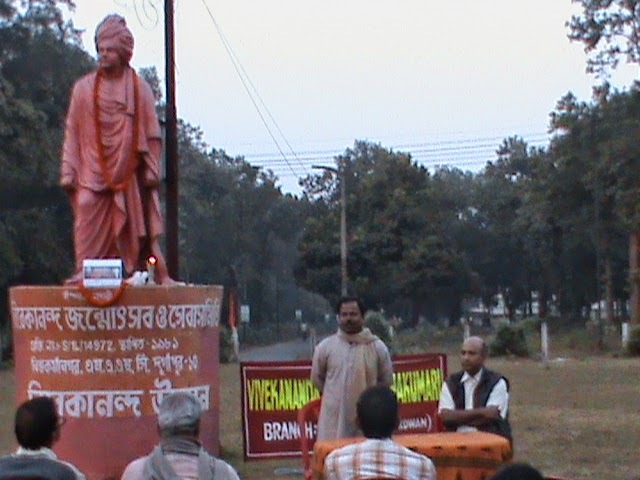 KrishnamurthyAnnaji and Blessings by Rev. Swami Chaitanyananda Maharaj. Our VKStaff Sri Thangaraja reached on 19th November 2014 morning, after his Motor Tri-Cycle Yatra from Eknathji's birth place Timtala, Amaravati district, Maharashtra to his karmabhoomi Kanniyakumari.And he was honoured by Ma. Niveditadidi. Volunteer of Vivekananda Kendra Kanniyakumari who worked under the guidance of Eknathji felicitated and other organisations also honoured with momentos by Ma. 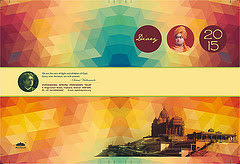 Balakrishnanji. The programme concluded with Kendra Prarthana by Ma. Aparnadidi and Annadanam was there. Evening at 3.30pm Ma. Balakrishnanji inauguarated the Website on eknathji.org. Evening at 5pm Gangotri Exhibition was renovated by Ma. 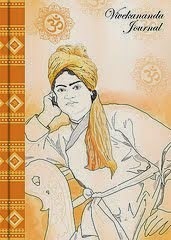 Balakrishnanji. Ma. 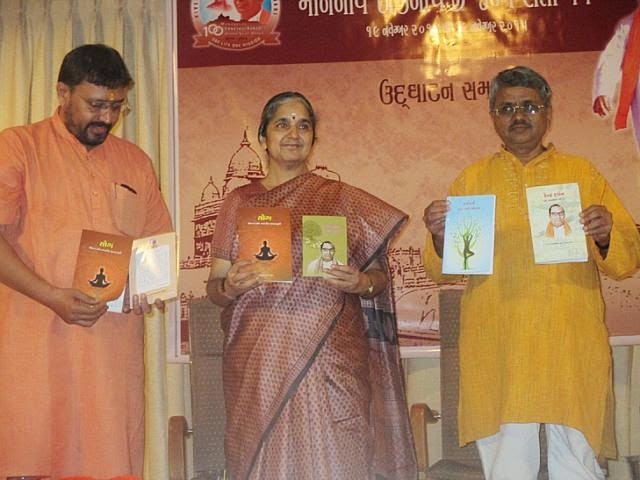 Niveditadidi lighted the lamp and Kendra Prarthana was there. 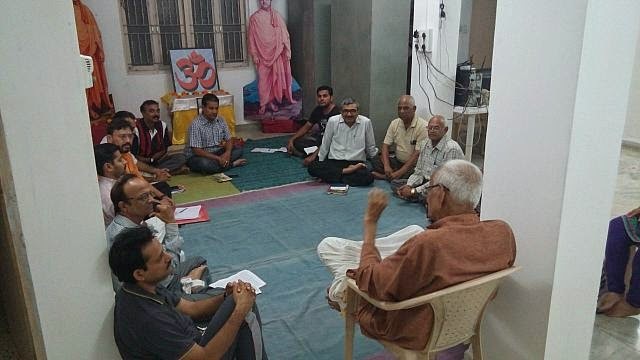 At 6pm VKStaff and Ex-Staffs and their families gathering was there at Eknath Bhavan. 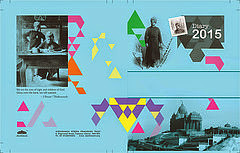 The film which shot on Eknathji's, trial shown. All did pushpanjali to Eknathji photo and some of the Ex-workers who worked during Eknathji's period, they shared their experiences. There was a Benediction by Ma. Balakrishnanji and Felicitation by Ma. Niveditadidi and In-charge of Employee Union of Kanniyakumari district who gave Guest Address. Sri Thangaraj who did Motor Tri-cycle yatra from Eknathji's Janma Kshetra to Karyakshetra, gave soil of Timtala village and given to Ma. Balakrishnanji. He was honoured. 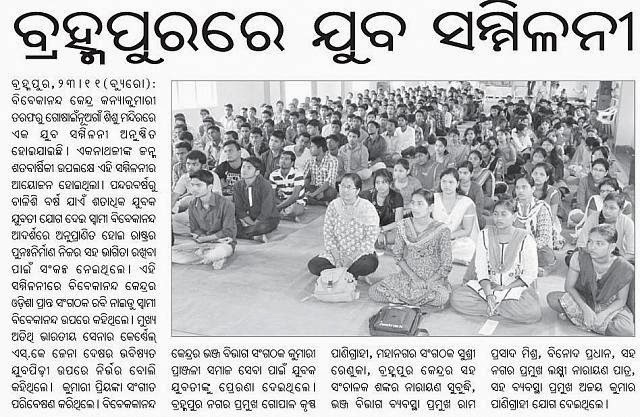 Programme concluded with Kendra Prarthana by Sri Thanuji. 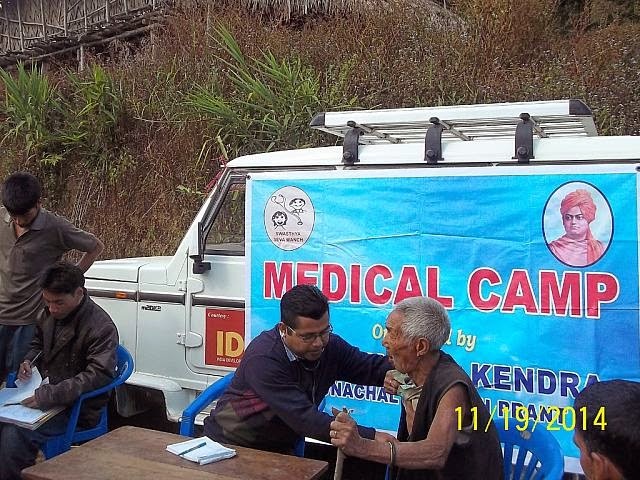 Vivekananda Kendra Arun jyoti conducted 11 medical camps in Tirap and Changlang districts of Arunachal Pradesh in the month of November 2014. 7 camps were conducted in Changlang and 4 camps were conducted in Tirap. A total 1411 patients were examined and free medicines were distributed accordingly. Our Mobile medical team visited 4 govt.primary schools and sick and malnourished students were provided with nutritional supplements. 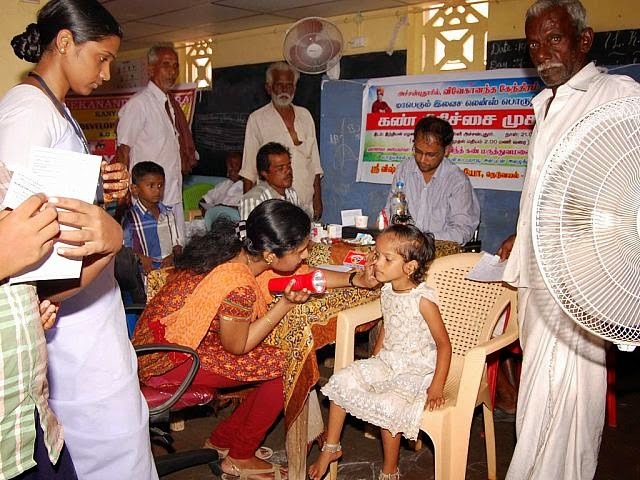 249 children were treated for worm infections. 3 health awareness meetings were organized during this month ,where various health issues were addressed by our medical team. The coral reefs of Rameshwaram are an important part of the sacred geography. They also have a great evolutionary history. They provide a prominent support for the Gulf of Mannar biodiversity. However today they are facing many threats mainly due to the pollution and global warming. We provide a glimpse into some interesting aspects of the Rameshwaram coral reefs. The coral reefs have been there for millions of years. Home to many organisms the marine biodiversity is heavily dependent on the coral reefs and they had also protected the population from the 2004 Tsunami. Hence we need to protect them. This is an effort to make people aware of their importance and the need to conserve them. We also have the message from the project chairman on Green Rameshwaram Mr. Ravi Sam in the third brain storming session that was held on Oct-11 at Rameshwaram. The district collector, the municipal chairman, forest officer, wildlife warden and many eminent citizens graced the event. Many suggestions were made and important decisions as well as new pathways have been designed to be followed for achieving Green Rameshwaram. Solar installation to removal of Prosopis juliflora have been discussed. 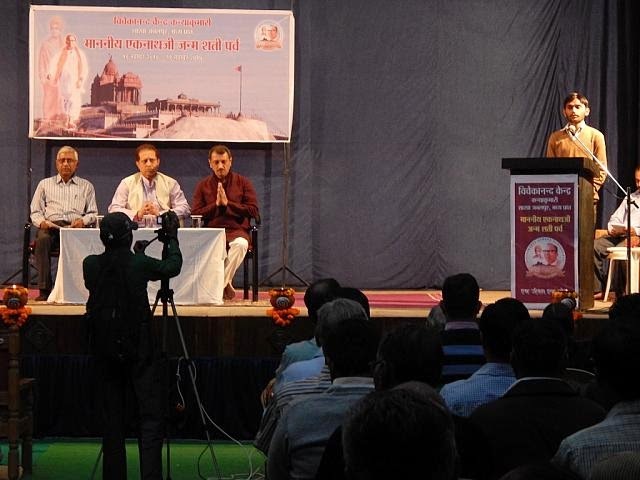 The issue of signages and beautification of the places were also discussed. You can find about all those discussions in the newsletter. It is our misunderstanding and partial understanding of the nature of the world –fragmentation that has led the world to the brink. Our eco-toons bring this out. Also see the various happenings, training programmes that took place in our campus during this month. In our wisdom section we have the physicist Menas Kafatos elaborates the importance of dialogue as essential for accepting positive change and uniting humanity beyond variations. Ecologist Madhav Gadgil speaks about how traditional socities are characterized by a number of conditions conducive to the evolution of a "community of beings" world-view; Historian of science Robert Nadeau explains how the primary objective of the ecological economists is to enlarge the framework of the neoclassical economic paradigm to include scientifically valid measures of the environmental costs of economic activities. 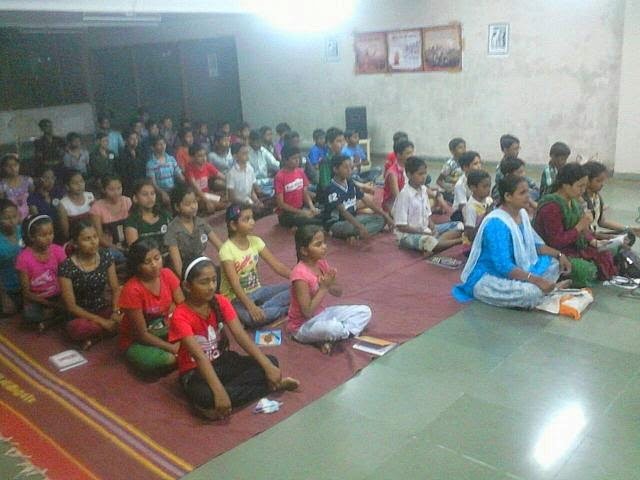 3 Days residential personality development camp was organized by Vivekananda Kendra Surat. 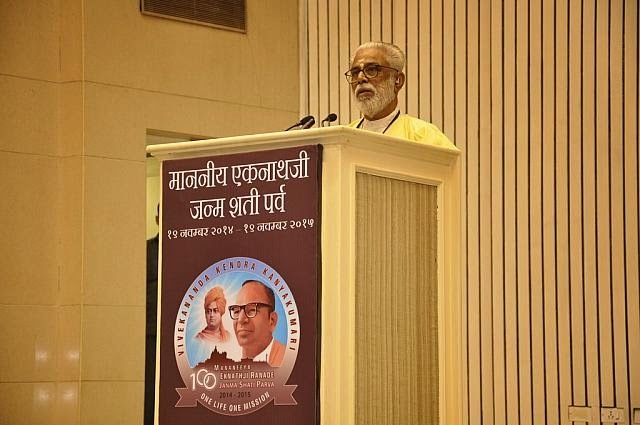 On the occasion of the Inauguration of the Janma Shati Parva of Swargeeya Eknathji Ranade, the spirit behind the Vivekananda Rock Memorial and Vivekananda Kendra Kanyakumari. I, on behalf of Kendra offer our heartiest Pranams to all the leading and enlightened personalities assembled in this Vigyan Bhawan auditorium.